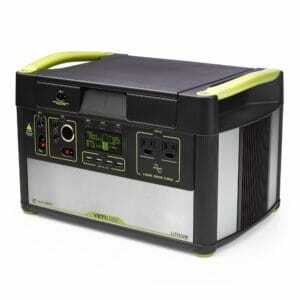 Easy to pack and ready to keep you powered up with over 400Wh. 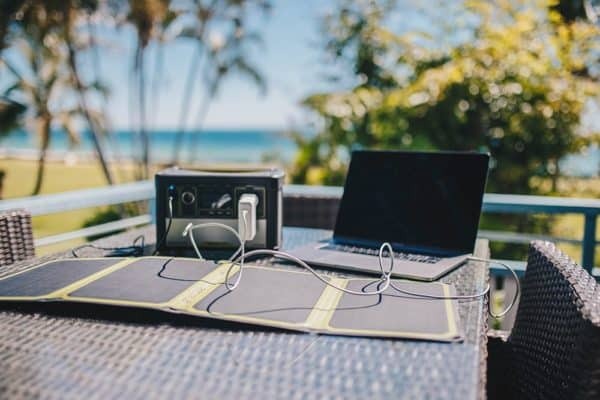 Perfect for short weekend trips and charges up on-the-go from Goal Zero Solar Panels. 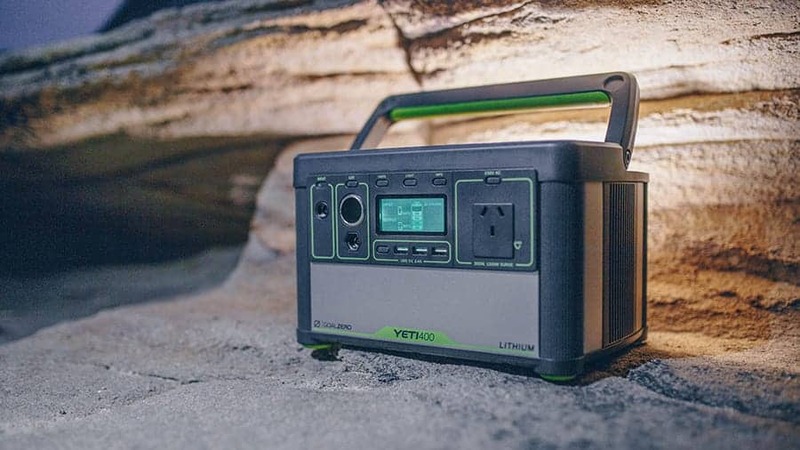 The Yeti 400 Lithium is even more powerful than its predecessors with increased surge allowances, advanced battery protection and a sleek design that makes for a lightweight, big power solution. With user-replaceable lithium packs and increased shelf life means you are ready for any type of project. 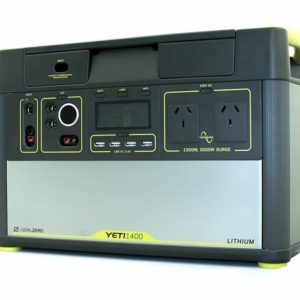 Powerful AC, USB and 12V Outputs – Whether you’re looking to keep tablets and phones charged up, or running lights and camera equipment, the Goal Zero Yeti 400 Lithium features a variety of upgraded outputs, including a pure-sine AC inverter, to ensure you have the power you need, when you need it. Exclusive, Replaceable Lithium Pack – Lightweight lithium batteries yield long runtimes and extended 18-month shelf-life. High quality cells feature additional monitoring electronics for superior management and ultimate safety. 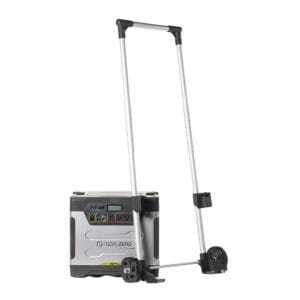 The lithium pack is also easily replaceable and is easily swapped out at the end of the product lifecycle. Informative Display – Get real-time usage data at a quick glance. The upgraded display features a runtime/recharge time estimator, as well as an output and input meter. Easily Rechargeable – Keep your Goal Zero Yeti 400 Lithium powered up from the wall or from the sun (solar panels sold separately). 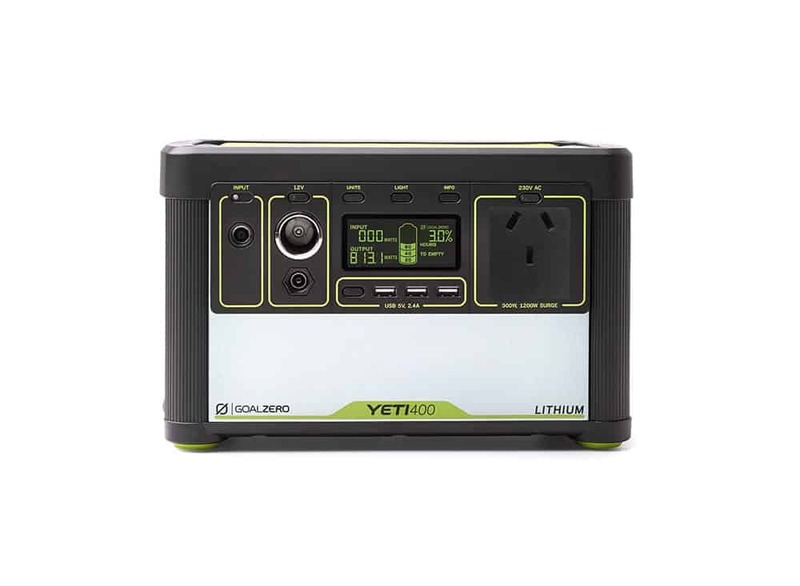 TO CHARGE YOUR YETI LITHIUM FROM A 12V SOURCE, YOU MUST USE THE REGULATED CHARGE CABLE (GZ98079). For more information please contact Goal Zero Australia technical support – contact us. *video below shows overseas model. Lithium Yeti 400 (220V ) has one AU outlet. 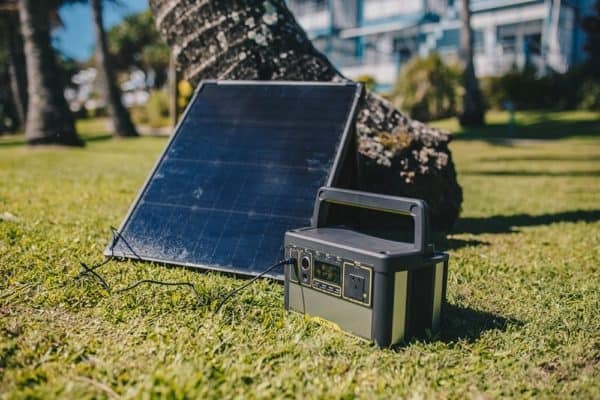 THERE ARE 2 WAYS TO CHARGE YOUR GOAL ZERO YETI 400 LITHIUM:The Sun The Goal Zero Yeti 400 Lithium can be charged by connecting a compatible solar panel. 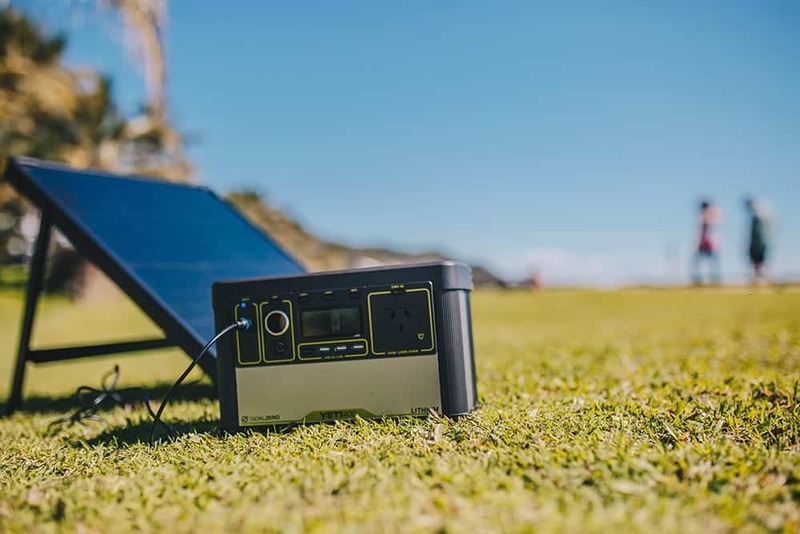 If you are a standard or light user and use about 30-40% of the power per day we recommend 1 Boulder 50 Solar Panel. 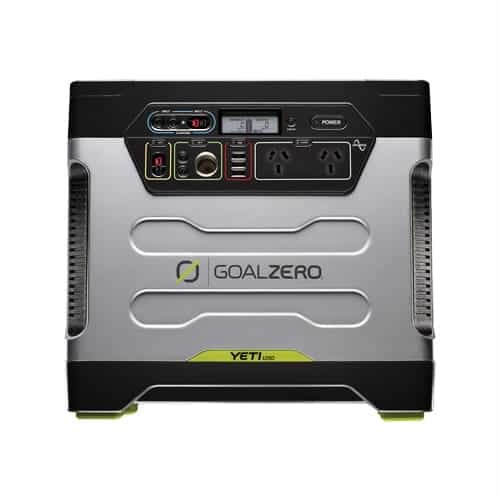 If you are a heavy user using all the power in one day, we recommend using a Boulder 100 Briefcase to recharge.The Wall The Goal Zero Yeti 400 Lithium can be recharged from a regular wall outlet in about 7 hours.